Indiana Mills and Manufacturing, Inc. manufactured and sold defective seatbelt buckles between 2002 and 2004. The seatbelt buckles in question (known as the “H2” buckle) were used in heavy trucks and school buses. The problem is due to an internal design defect, which causes the latch to fail. Even more alarming is the fact that the wearer of the seatbelt may not even notice a problem with the latch. Although Indiana Mills has redesigned the buckles, the old design was never recalled. Thousands of heavy truck and bus drivers are at risk of serious injury or even death if their buckle fails in a collision. 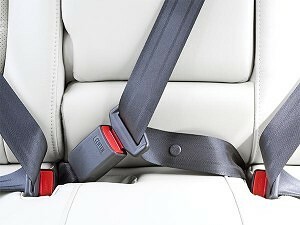 If you or a loved one has been injured and believe it may have been as a result of a defective seat belt, call Cellino & Barnes now at (800) 888-8888 or contact us.